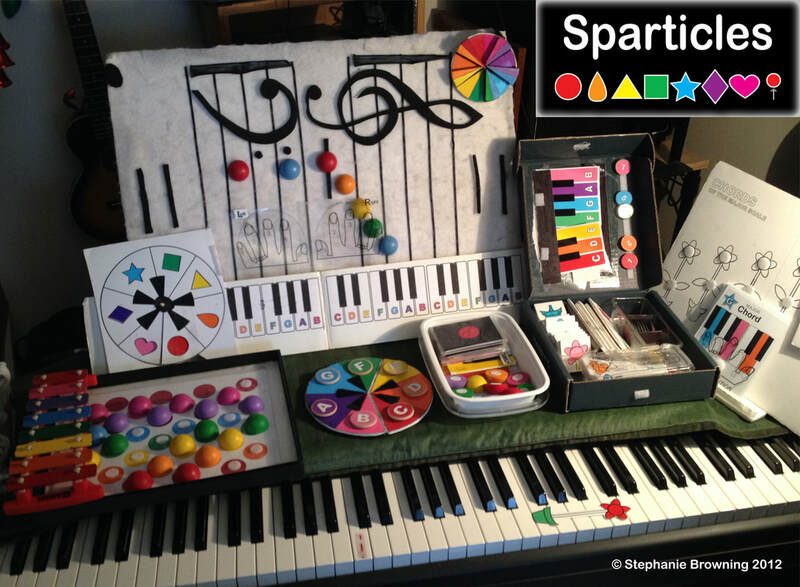 SPARTICLES makes it possible for anyone to play a song the first time they try. This creates a feeling of success and fosters confidence, which leads to involvement at whatever level appeals to the person. Colors, shapes, numbers and letters, the will to play a favorite song: each person connects at their own level. It's not that we're headed to Carnegie Hall - the joy is in the moment of focused concentration. The brain chemicals will be doing their work but it will feel like fun. This activity is for any brain young, old and in between. Do it just for fun, do it to learn music, do it to connect with others, do it so you can teach your child.